Are you looking for the perfect pet present for that special furry baby in your life? 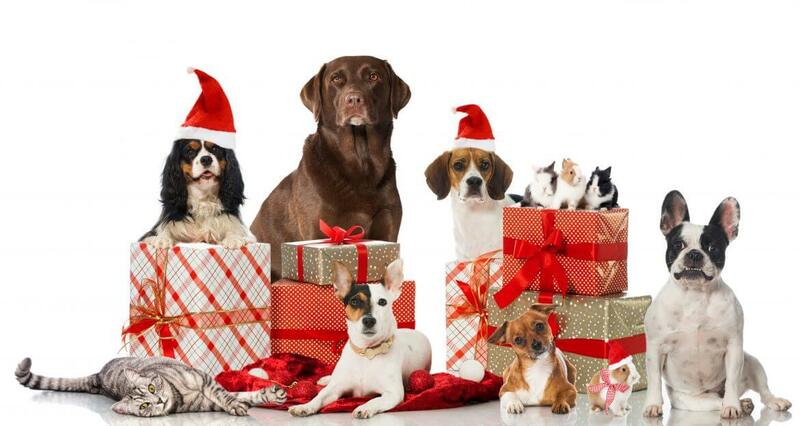 Pet Insurance Australia has launched their yearly Pet Christmas Gift Guide full of wonderful ideas for the most anticipated celebration of the year. Emily Grimes from Amaroo Pet (amaroopet.com.au), one of Australia’s leading online pet retail outlets agrees with Pet Insurance Australia that spoiling our pets at Christmas is a growing and important trend. Pet Insurance Australia has searched low and high for some of the most innovative and popular pet Christmas presents for 2016. Do you want to maintain your run without your dog pulling you over? Would you like to tend to other activities, such as pushing a pram or tying your shoe, while restraining your dog? The Tail Runner Leash is the perfect Christmas gift for every dog lover. It’s lightweight, durable, and strong. The bungee design reduces shock or force if your dog pulls. The round bungee was chosen for greater strength. There is also a handy traffic handle to control your dog at road crossings or while walking in crowds. Its highly reflective stitching will also keep your pup safe. Does your lil monster chew everything in sight? Do you dread the destruction you’ll come home to? If you haven’t heard about Antlers for Dogs, they’re definitely worth looking into. Despite being odourless to humans (which makes them a great inside treat), they are irresistible to dogs and will most likely keep your dog busy for weeks if not months. In addition, they’re packed full of minerals like calcium and phosphorous, so they’re more beneficial than a synthetic chew toy. Our antlers are collected and cut from naturally shed antlers from our deer farm in the Hunter Valley – which makes them a great cruelty-conscious option. Take aim with the NERF DOG Tennis Ball Blaster! A high-powered blasting action launches your dog’s favourite fetching tennis ball over 50ft in the air. When your dog brings it back, stay in the game by placing the barrel on the tennis ball and pick it up “hands-free”. It provides energy and excitement for your dog, and safe control for you, that’s why it’s Nerf or Nothin’! The tennis ball is included. The Petstages Durable Stick combines real wood with durable strength, creating a stronger, safer stick. – Materials made in U.S.A.
– Available in 4 sizes: Petite, Small, Medium, and Large! KONG Cat Wubba is specifically developed to appeal to a cat’s instinctive desire to stalk and capture prey. All Cat Wubba toys have a rattle sound and are infused with KONG’s premium North American catnip for added attraction. The unique tails make a crackle sound that rewards contact and encourages continued play. Cat Wubba toys stimulate senses of sight, sound, smell, and touch. The ultra-soft fabric and shape of the Wubba Cat Friends make it fun for your cat to snag, wrestle, and snuggle. Designed to hang on any standard door in your home, the Cat Climber from SmartCat is the perfect choice for smaller homes or people who don’t want to swap an end table for a traditional cat tree. Now your cat can scratch, play, sleep, and exercise safely on this patented product. The climber is easily moved from door to door because of its spring-loaded bracket system. The natural sisal post is ideal for scratching. Made of durable wood, the climber will withstand years of use. One stomp is all it takes to launch any standard tennis ball up to 75 feet! The NERF DOG Tennis Ball Stomp Launcher is the fun, easy way to give your best friend the exercise they crave. The sturdy plastic stomper needs no adjustment as the neck is already angled for optimal loft. It’s foot-activated, making it especially good for dog owners with shoulder injuries. The tennis ball is included. The HedzUpPets Water Collar is worn to help prevent accidental drowning. The collar keeps your dog’s head above water, even if he becomes exhausted or unconscious. It also protects your dog from drowning, easily attaches to dog’s own collar, aids in swim training, and is great around boats, ocean or pools. The collar is comfortable enough to wear for long periods, allows for ease of movement, and is cooler than dog life jackets. There are 10 sizes available to fit dogs from 1.3kg – 90kg. The KONG Cozie Kickeroo is designed with an ultra-soft, plush fabric to make it an all-in-one great active toy and comfort toy. The Cozie Kickeroo appeals to a cat’s instinctive desire to capture prey. The Kickeroo’s size, shape, and material were specially chosen to promote wrestling and hind paw kicking. The fluffy tail provides movement for extra excitement. Plus, a generous amount of KONG’s potent North American catnip has been added to further encourage play. Available in a range of styles including this fun reindeer version. The Outward Hound Fun Feeder allows your dog to eat naturally! The Slo-Bowl is a natural, healthy, and playful solution for dogs that gobble their kibble too quickly. Our nature-inspired designs promote natural eating habits by requiring dogs to forage for their feasts. Moreover, by prolonging feeding times, Slo-Bowls reduce the risks for bloat, regurgitation, and canine obesity. Dogs quickly learn to ‘chase’ their food through the maze of ridges and valleys, making dinnertime feel more like a hunt. The Slo-Bowl also ‘rewards’ their play with bits of food, furry friends become more and more engaged as the meal goes on. Veterinarians agree that slower feeding is safer feeding. When it’s time to dine, feed your dog with peace of mind.